Greg Akili is a Senior Advisor Black Workers Center, Project Coordinator Corporate Accountability International. Previously SEIU Local 1000, Obama for America, California State Assembly. Akili worked as an organizer for the United Farm Workers (UFW) under the leadership of the late Cesar Chavez. With the encouragement and support of Cesar, Akili helped form the United Domestic Workers (UDW) union in an historic effort to improve the working conditions and safety for thousands of African-American and Latino female home care workers throughout California. Since then, Akili has continued to be a leader in some of the most important campaigns of our time. He served as National Organizer for Jesse Jackson's 1988 presidential campaign and Western Regional Field Director for the NAACP. During the historic election in 2008, he led the South Los Angeles campaign to elect President Barack Obama to the White House. One of the most respected community organizers in the country, Akili has also served in local government. He served as a staff member for two Speakers of the California State Assembly and former Lieutenant Governor and Assemblymember Mervyn Dymally. Akili also served as member of the San Diego Housing Commission and Chair of the Housing Trust Fund Taskforce to develop jobs and affordable housing. As a senior organizer with Service Employees International Union (SEIU), he helped create the Public Authority that provided stability for thousands of home care workers. As a leader with SEIU Local 1000, he worked tirelessly with state employees to propose sensible and humane budgets to elected officials. Currently, he is the National Field Director for the campaign to save Social Security from cuts proposed by Republicans and Tea Party activists. Everyday, Akili works with thousands of community residents in California, Florida, Colorado and other key states to protect one of the most important programs for our seniors, youth and families. Greg Akili is a proud resident of the Vermont Knolls community with his wife, Carolyne, and their children, Tayari and Gregory. In 1982, Greg Akili was a member of San Diego Democratic Socialists of America. San Diego Democratic Socialists of America held a March forum 1993 with Greg Akili, co-chair of the African American Organizing Union, on "The New Administrationand the Struggle for Universal Health Care." October 27, (circa 2007) in Los Angeles, nearly 20,000 people marched through downtown to the federal building for a mass rally and Die-In. After the march, almost everyone present participated in a mass symbolic Die-In. Ian Thompson of the ANSWER Coalition introduced the Die-In while masses of people lay down. Thundering sound effects of air raids and bombs exploding punctuated the action, followed by a solemn minute of silence for the Iraqis and U.S. soldiers killed in the war. As protesters rose up after the Die-In, all chanted "Stop the war!" Preston Wood of ANSWER and Greg Akili of African Americans Against the War spoke about the cost of war on people in the United States, urging everyone present to become organizers in the anti-war movement. Muna Coobtee of the National Council of Arab Americans spoke about the dire conditions facing Iraqis due to the imperialist occupation. Other speakers included actors Martin Sheen ("The West Wing"), Mike Farrell ("MASH") and Mark Ruffalo ("Zodiac"). ANSWER initiated the protest, which was organized by the Oct. 27 Stop the War Coalition, a broad array of progressive, anti-war and social justice organizations. 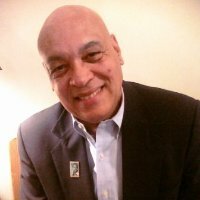 PowerPAC+ Board of Directors, as of 2014 included Greg Akili - Los Angeles, CA Social Security Works.